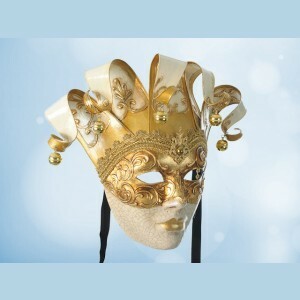 A Venetian mask is ideal if you want to go to a costumed party or carnival in style. 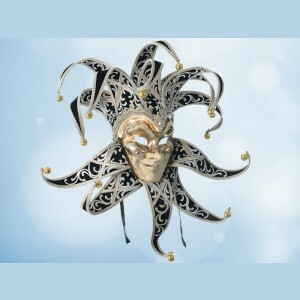 But our Jester-masks can also look great as a wall decoration. 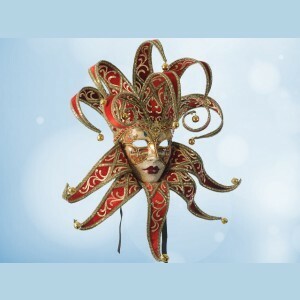 You can choose from various shapes and colors: Venetian masks are completely high-ranking. 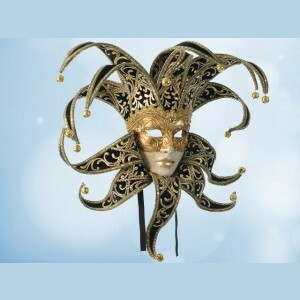 The finish product is very fine and of good quality. 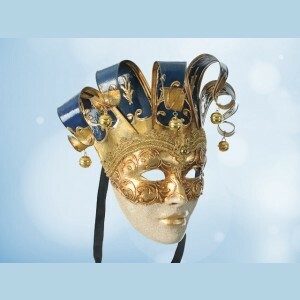 All our masks are handmade with care and dedication by the mask makers from Maskshopvenice.com. 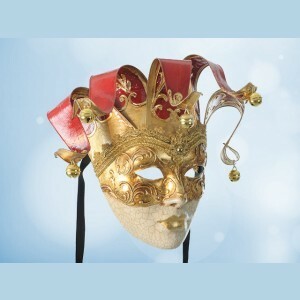 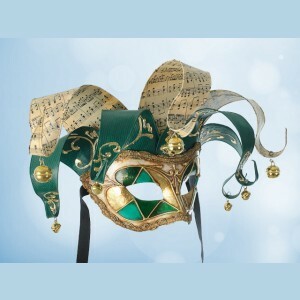 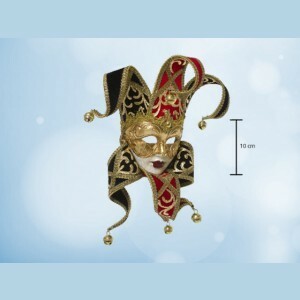 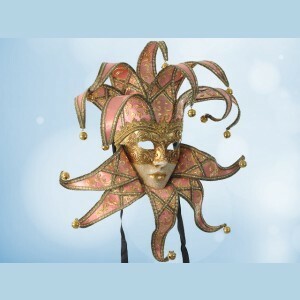 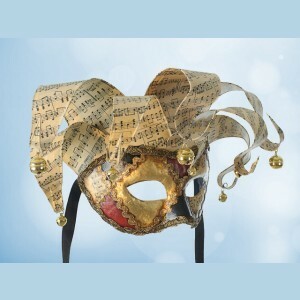 The Joker mask, which is also called the Jester mask or Jolly mask, has stunning curly headdress with bells at the ends. 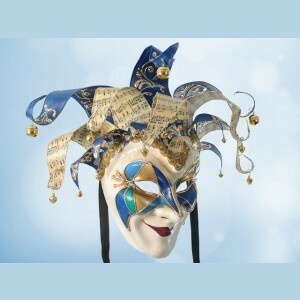 Some models are decorated with a curly breast piece. 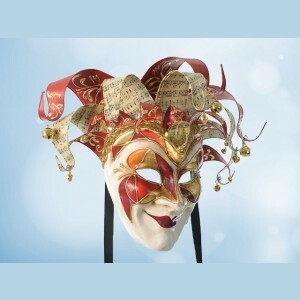 Making a Venetian mask requires skill and finesse, and offers you a charming work of art. 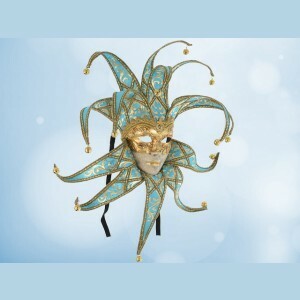 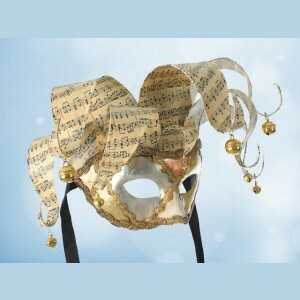 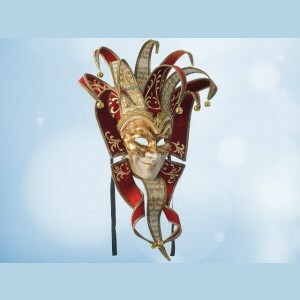 You can buy your Venetian carnival mask online quickly and safely. 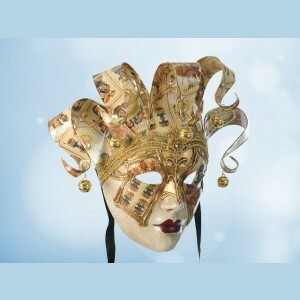 In just a few clicks you order your product and Mask Shop Venice guarantees a perfect transaction and delivery.You pay securely by credit card or bank transfer.